Lighthouses are strangely chilling. A giant tower built on a cliff side to warn of rocks that can easily wreck the strongest of ships. The creepy legends surrounding lighthouses seem fitting for some reason. A large tower lived in by a lonely keeper, a lonely watcher over the waters below. Haunted lighthouses have featured in so many fictional horror stories by authors like Edgar Allen Poe. It’s not specific to any country in particular – all over the world people have an eerie respect for lighthouses. 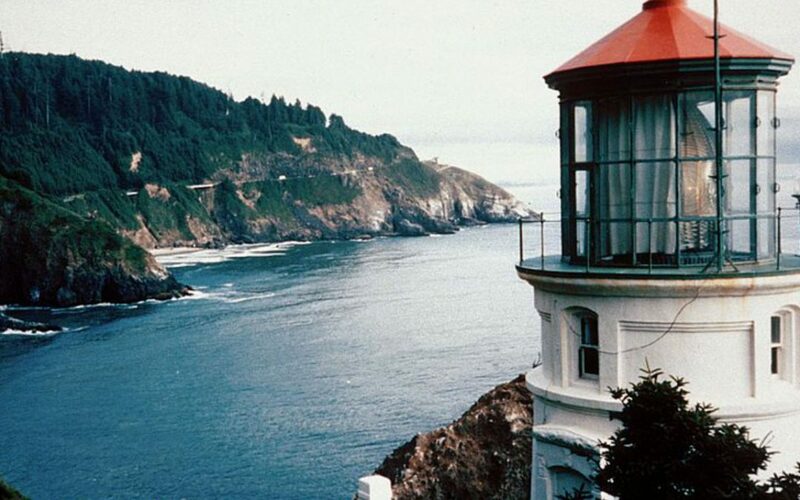 There are some genuine historical mysteries associated with reportedly haunted lighthouses, some of which we’ll get into in this list. 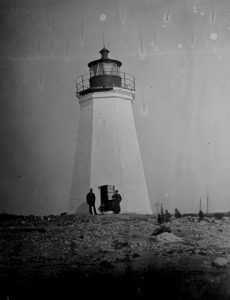 Here are my top 10 reportedly haunted lighthouses. 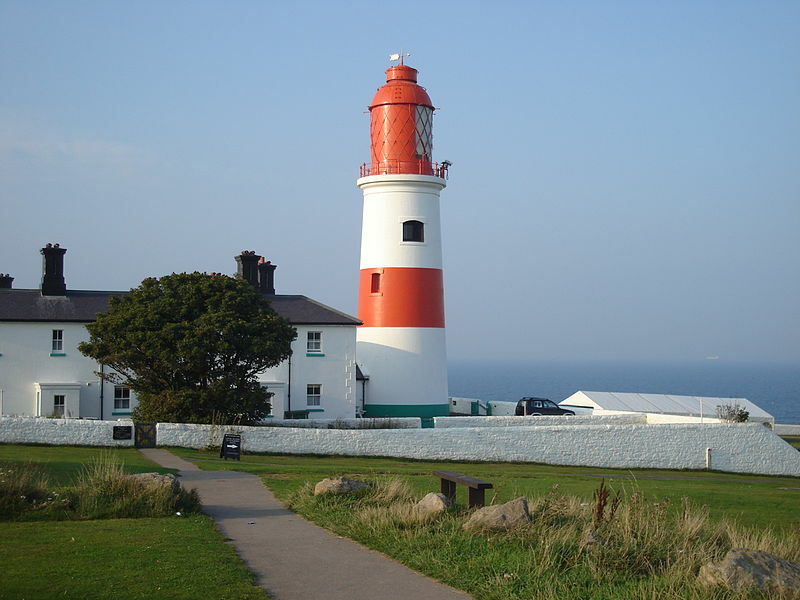 Souter Lighthouse has long been labelled “England’s most haunted lighthouse”. It was built in 1871 in an attempt to reduce the hight number of ship wrecks in the area. In fact, the area was so dangerous it had an average of 44 shipwrecks per mile. Like so many haunted lighthouses, the building is said to still be occupied by the ghost of a keeper who once died there. The keeper can be heard screaming out of the tower windows to try and warn ships of the dangerous rocks. Without a physical presence he is no longer able to operate the light. Souter Lighthouse is associated with many other dark legends involving murder, loss, and betrayal. 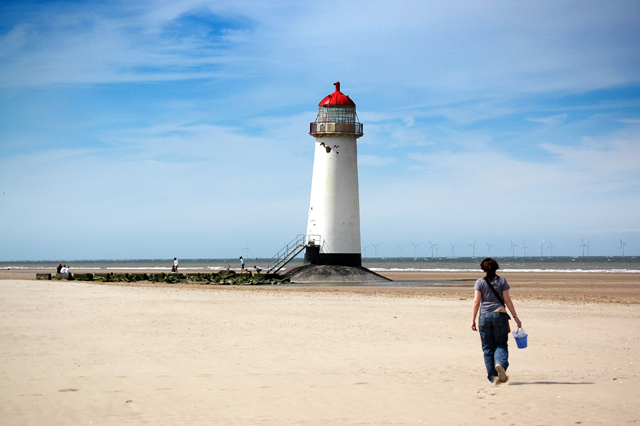 Talacre lighthouse is a small lighthouse on a Welsh beach. It is well known by the Welsh locals for dozens of reported incidents with ghosts within the lighthouse. Once again, people claim the ghost of a lighthouse keeper still lives there. But this one doesn’t seek to warn people of coming danger – he attacks anyone who visits his lighthouse. So walk up to the lighthouse of a misty morning and you might see him looking out of the glass dome at the top of the lighthouse. He’ll stare at you as a warning not to come near. Like I said, so many haunted lighthouses are occupied by their former keeper. Fire Island Lighthouse is a great name for a great lighthouse. Built in 1826, it’s a 180 foot structure built from stone. It’s how I imagine a proper lighthouse should look. No longer in use, it lit the nearby waters for over a century. Local legend tells that the lighthouse was only deactivated because the ghosts who live in the tower refuse to allow anyone to operate the light. It is believed that anyone who enters the lighthouse will experience the feeling of being scratched by the ghosts, but they are a lot more violent to those intending to operate the light. Apparently they try and push such people to their death. This is Erie land light – the name alone implies paranormal activity. 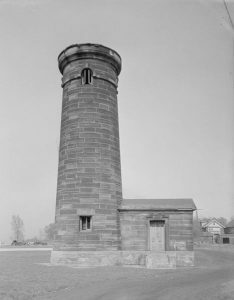 Erie land light is one of America’s first lighthouses, standing since 1818. But is was deactivated towards the end of the same century. Since then, it’s pretty much been left as is. Legend tells that it was deactivated because of the dark presence within it. A group of witches performed a series of rituals within the tower – and now it is occupied by a demon. Apparently he only appears there once a year though, and it’s always on a different day. Enter the lighthouse on that day and you will never walk out again. The demon will take you back to hell with him. That’s what the legend tells anyway. 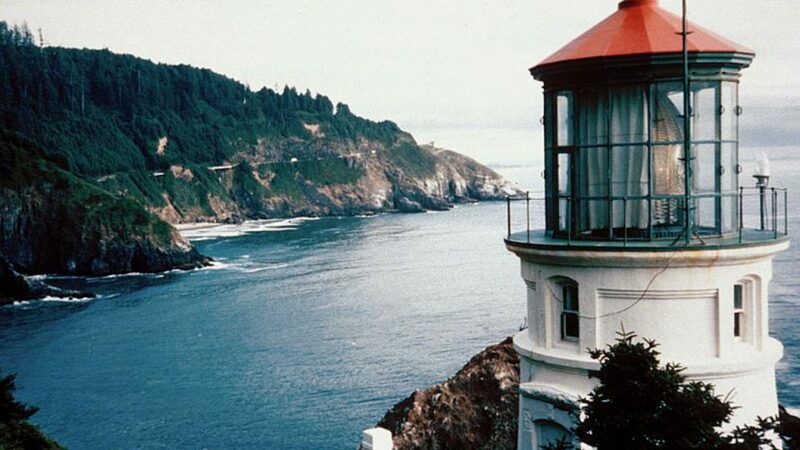 The Heceta Head light could inspire originality in any horror writer. Built in 1894, and named after the Spanish explorer Bruno de Heceta, who explored the area several hundred years before. The lighthouse is said to be haunted by the spirit of a woman who’s young child fell to it’s death from the lighthouse. In despair, she threw herself from the lighthouse also as she no longer wanted to live. Her ghost is now known locally as “the lady of the light” – she is seen wearing grey clothes and crying at the top of the lighthouse tower. Sometimes the light can be seen switching on and of again, despite no one being in the lighthouse at the time! 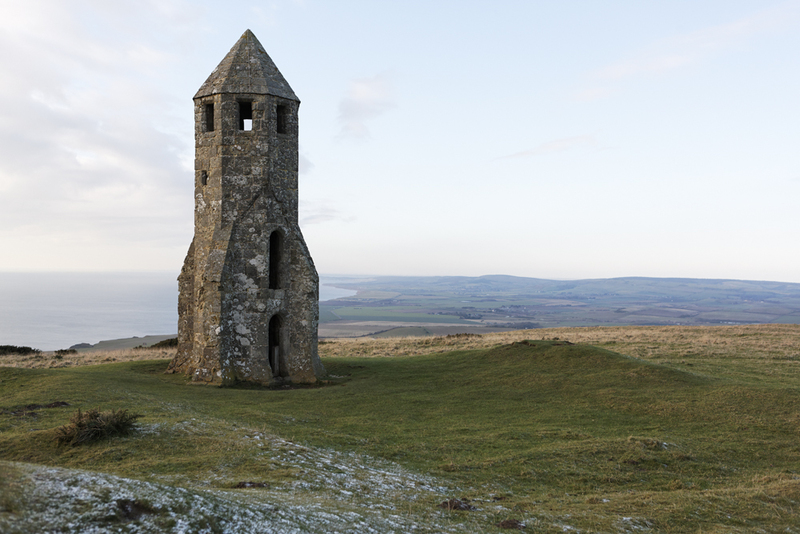 St. Catherine’s Oratory is a medieval lighthouse, and there aren’t many of those still standing. The 4 stories high lighthouse was in use from 1328 to 1547, after being built by a local lord. He was instructed to build a lighthouse there unless he wanted to be excommunicate him from the catholic church. It was deactivated as the lighthouse was rarely useful – thick fog is a common sight in the area, far to thick for the light to be seen by boats. According to local folklore, the lighthouse is home to the ghost of a monk, who is seen praying any walking around outside of the tower on foggy days. Black Rock Harbor Light was built in 1823 on the site of a previous wooden lighthouse that was destroyed in a storm two years before. That’s the problem with lighthouses made from wood – they’re prone to destruction. 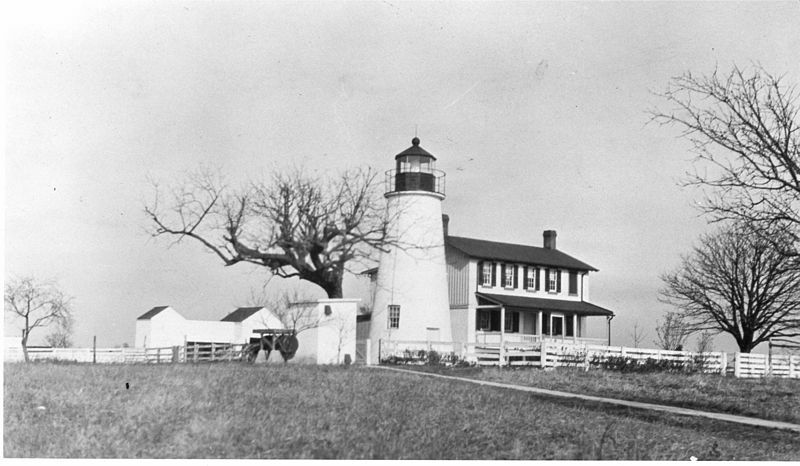 The current lighthouse was deactivated in 1932 as it became obsolete. Charles Isaac Judson was the second keeper of the lighthouse, and the second to die while serving there. Keeping a lighthouse was incredibly dangerous back then, especially for towers so close to the sea. His ghost has been reported within the tower. He can be heard breathing heavily, and seen a split second before he attacks visitors, grabbing at their throats. 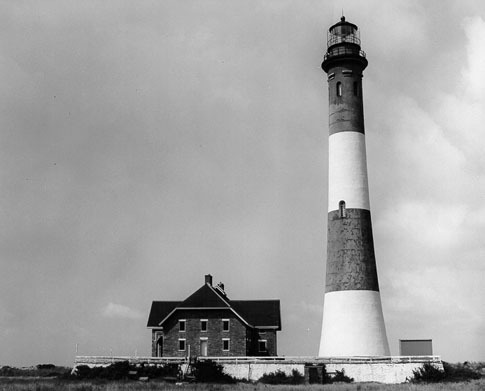 Point Lookout light was built in 1830 for similar reasons to most other haunted lighthouses. Since the lighthouse’s decommission, hundreds of paranormal encounters have been reported by visitors. This spiked the interest of Dr. Hans Holzer, who recorded 24 ghostly voices while investigating the building. The recording can be heard online, with the different voices audible. Some whisper quietly, and some scream loudly in different languages. It’s really creepy actually. And it’s not just voices – people have reported seeing ghostly figures faintly appearing throughout the building. There are so many reported ghostly encounters it gives chills even to the most ardent skeptic. Aloha Tower is the most Hawaiian thing ever. But it’s also haunted, which slightly lessens the Hawaiian-ness of it. 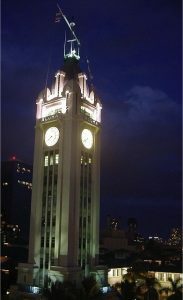 Built in the 1920s, it was Hawaii’s tallest ever building, giving light to the boats in the harbor below. It’s history is quite dull up until the pear harbor attacks, when Hawaiian coastguards were sent up there to keep an eye on things. No further attacks followed that night, but the tower is still remembered for that. Local legend tells that the ghost of some Pearl Harbor victims emerged from their graves and entered the tower, where they still are to this day. They are neither kind nor aggressive to humans – they just stand there in the tower. Flannan Isles Lighthouse is widely known for it’s association with a famous mystery. In the year 1900, passing boats noticed the lighthouse was not lit when it should have been. Officials soon visited the lighthouse to find the keepers were missing. It was as if they had suddenly vanished. It must have taken something incredible to make them leave, as rules required them to stay there at all times. In their log books, it was described how the men were on edge, they were terrified of something unspecified. But what were they scared of? And what happened to them? No trace of them was ever found and it remains an unsolved mystery. Some speculate they disappeared due to paranormal activity and that Flannan Isles lighthouse is among the most haunted lighthouses in the world.